JUST ADMIT IT – Boracay is a party island. 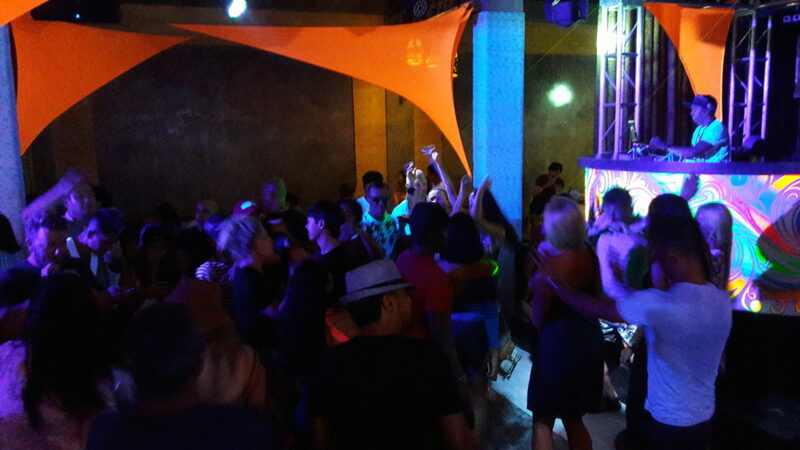 Apart from the powdery white sand of the beach and water activities, people go there to party especially the young ones. So naysayers, back off! I’d like to believe I am still in the “young ones” category and not just young once. You see, Boracay is one of the places I consider my “escape” destinations. Whenever I go there – whether it’s a press trip, family, group or solo trip, I always have that sense of fulfillment when I fly back home to face reality. My recent trip is no exemption. Some years ago, I attempted to go on a “solo” trip when I was offered to do a mystery shopping tasks and evaluate a flight for one airline on a summer. I stayed in a hostel somewhere in Station 3.5 (it’s too far! ), but I end up running into some of my Manila and Cebu-based friends whom I haven’t seen in a year. What happened was I spent my first night hanging out with my hostel mates and by the second night I was dancing the night away with my blogger friends while my room mates were worried where the hell I was. It was in that trip that a friend of mine who is a first-timer in Boracay finally realized the fuzz about this part of the Philippines. I spent most of my 2016 & early 2017 in the United Kingdom (uh, oh… backlog!) and since I got back, I haven’t really gone out as much as I normally did in the past. I’d rather spend my time reading books, watching movies or update my passion project nowadays. Sadly, I neglected my blog. I have so many stories to share, but I guess I am just more inclined to pursuing other subjects and I also noticed that I’d rather eat and sleep than join any trip. When I came to the realization that my passion project consumed my time and energy, I knew I had to do something to detach even just for a bit. Technically, I was traveling (Manila to Pangasinan almost every weekend) but that is work-related and a normal routine for me. I had to go somewhere to bring back my drive to blog and start another project. Sleepless a night before my trip, I went to the airport with no real itinerary. My supposed travel buddy backed out due to other commitments and only knew that I will proceed with the trip 14 hours before my scheduled time of departure. No time to sleep and chill! Fortunately, I made it on time for my flight and I think NAIA- Terminal 2 Domestic Airport is less chaotic on a Wednesday morning. Whew! 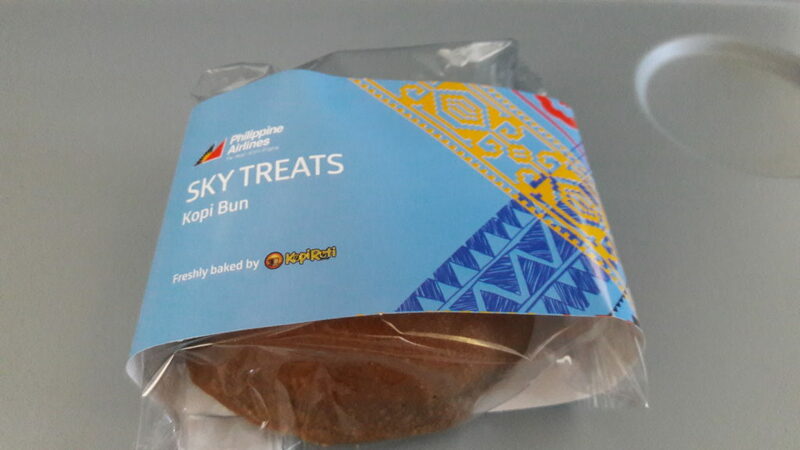 What I love about flying with Philippine Airlines is the Sky Treats, the complimentary snacks which is already included when you book a flight with them. Perfect for travelers who skipped breakfast to beat the traffic jam and make it to the airport on time. Sulit! The last time I flew to Boracay via Caticlan Airport, Philippine Airlines’ sister company AirPhil Express was still in business… so that’s a long time ago! I remember my grandparents’ reaction when we flew in 2009 and saw the small airport with a limited runway. God knows how many saints my grandma prayed to during landing and take off. 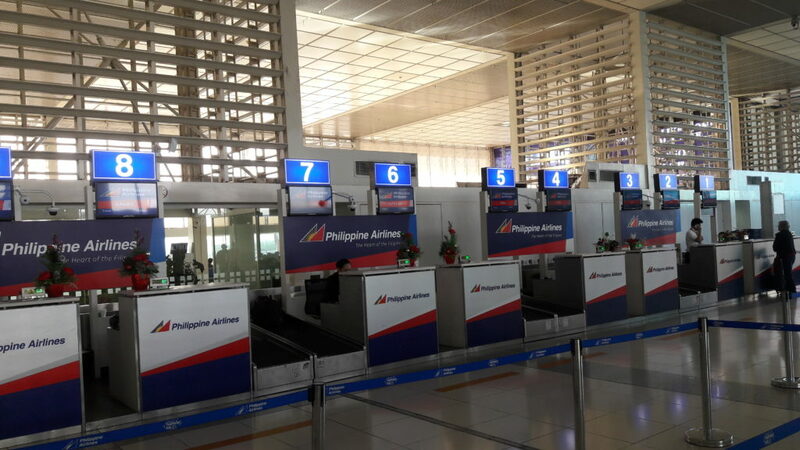 Now, the runway is located five minutes away from the airport and Philippine Airlines provided transport for the transfers. For my flight back to Manila five days after, I realized that they now have a Starbucks branch inside much to the delight of waiting tourists. Some still consider November as “off peak” season. 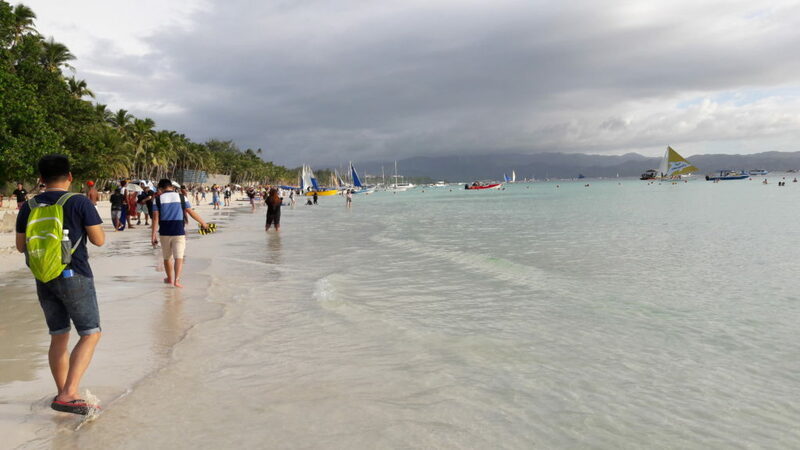 After my boat transfer from Caticlan to Boracay, I saw a number of tourists – both local and foreign, waiting for the land transfer to our respective hotels. For a change, my first two nights are spent in Bulabog Beach a.k.a. the Back Beach. 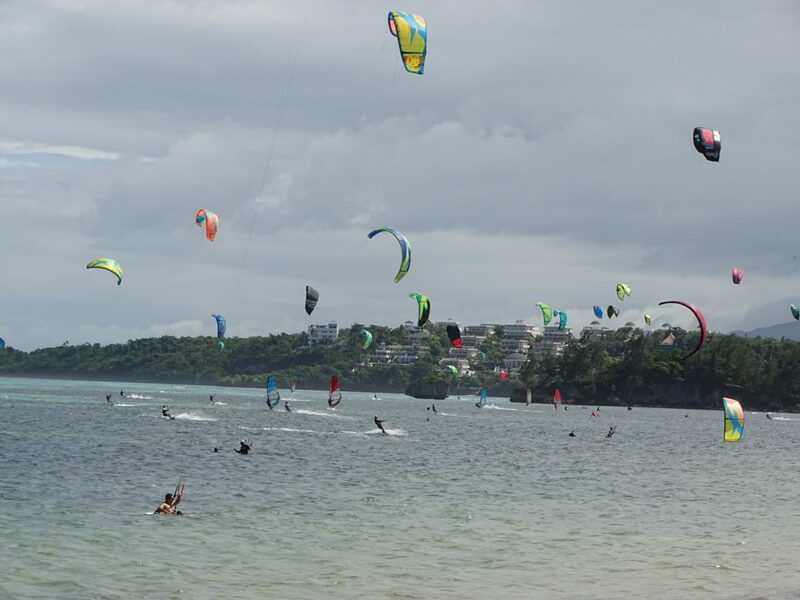 It is the area where most extreme sports like kitesurfing and paragliding. Guess what? Nah, I didn’t bother to try any. I just enjoyed watching them one afternoon as a sit at the balcony of my room. The first two days were spent mostly doing nothing. I was locked up on my hotel room to listen to All Saints’ Red Flag album in full blast, write more for a passion project (I can’t help it – the things you do for love haha), binge-watch YouTube videos and just catch up on sleep. When I’m out of the room, I’m either pushing myself to take a lot of photos for my blog (until I decided I shouldn’t force myself too much – hello, I’m here to detach and pick some inspiration, right? 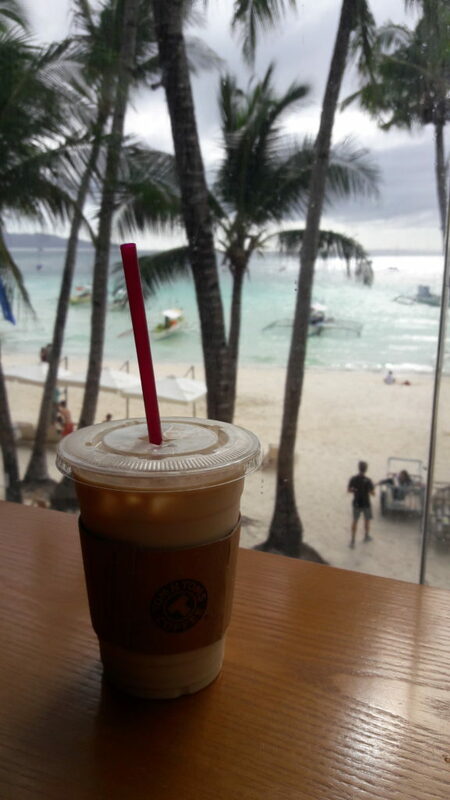 ), lounging in Jonah’s Fruitshakes with my Mango-Banana plus Tanduay Ice until sunset or lounging in a coffee shop with a cool view just writing in my diary. Then I “got tired” of relaxing – I need human interaction! So the next day, I decided to stay in a hostel. 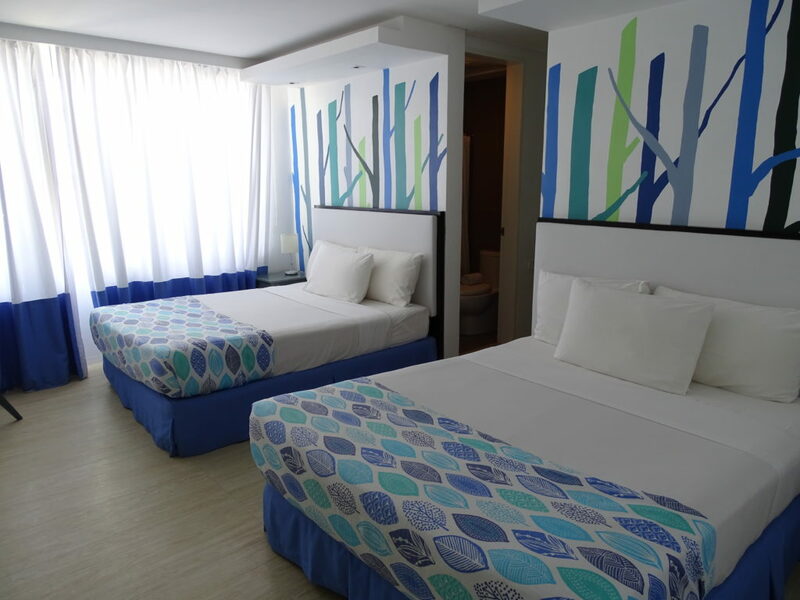 Ideally, I would’ve loved to do hostel hopping in Boracay especially since I discovered that most of these hostels are located in Bulabog. 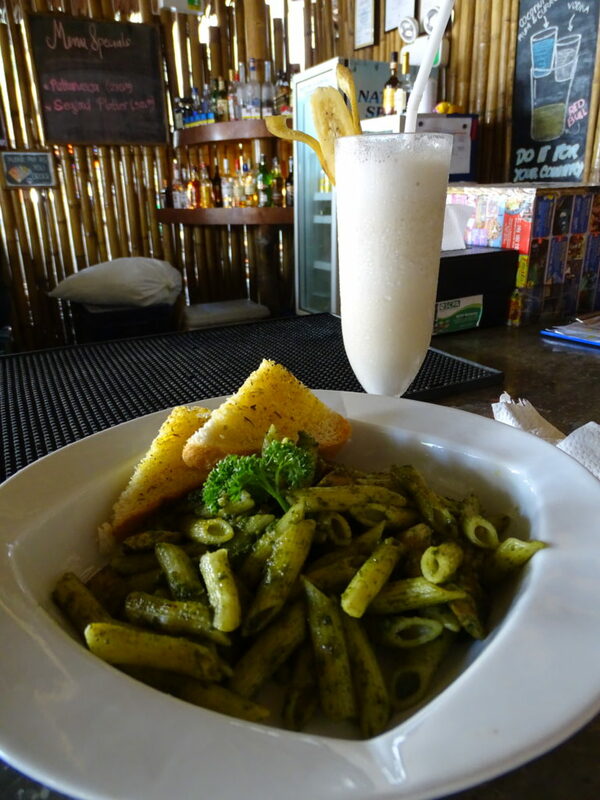 I went to Mad Monkey Hostel for lunch on my first day and I honestly loved the vibe. So many young backpackers in their swimwear just chillin’ in the pool area with drinks in hand. I would’ve loved that – but I’m afraid to spend too much on drinks. So… avoid for now! 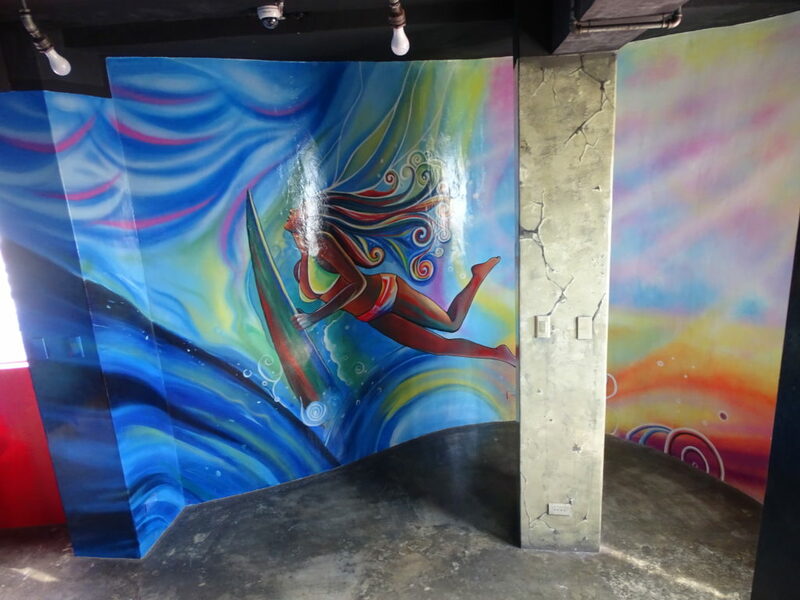 For this trip, I stayed in two hostels – W Hostels Boracay and Boracay Backpackers. 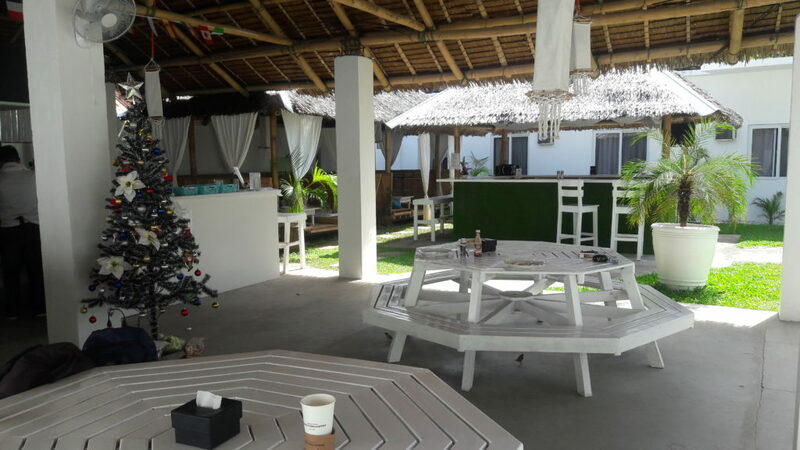 I got intrigued with W Hostels Boracay because of the social media posts of some of my travel blogger friends who stayed there. When I found a good discounted rate, I gave it a go. I was impressed upon arrival. 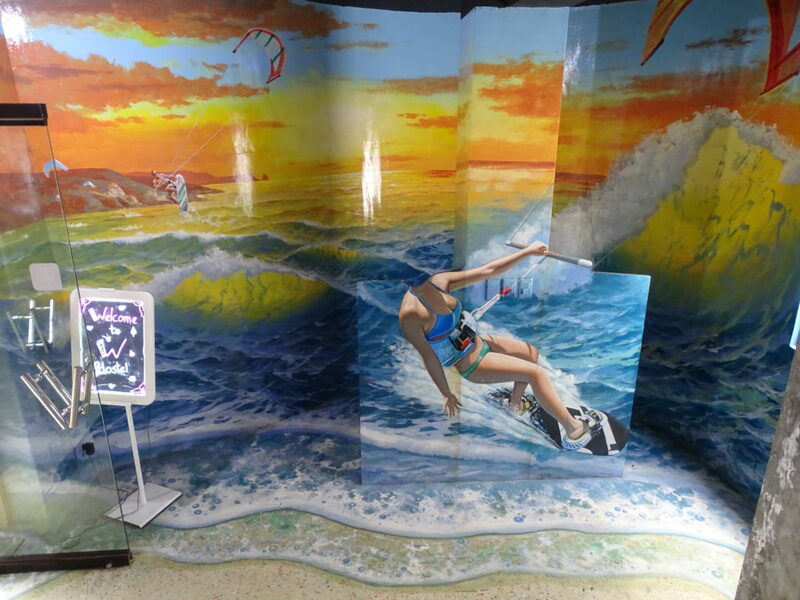 It’s not just a hostel – it’s an interactive 3D museum! All this for Php 500 a night on a shared mixed dorm room. Let’s just say that during my stay in this hostel, I was able to meet younger travelers that I almost regretted disclosing my age. I then imagine how I was during their age. Most of the people I’ve met in hostels are professionals back home and they live a life completely opposite with their partygoer persona in the island. When I say “detach”, I can say did that here. Sometimes, you need a different and fresher perspective towards life (gumaganun haha!). On the other hand, my stay in Boracay Backpackers is a quiet one. I stayed in a hostel room good for four and never got the chance to bond with them. I decided to move to this hostel because it just five minute walk away from the white beach. I forced myself to wake up early (wait… did I even sleep? I don’t remember!) so I can swim in the beach alone. I didn’t bring my cellphone or camera with me. I need my vitamin sea without the responsibility to post a bikini pic on social media (I have one in 2009 when I still had the guts to do so LOL). I assumed that fast food chains that recently opened in Boracay have the same price as in Manila or Pangasinan. Well, I was wrong. I love lounging in coffee shops to work or just write in my journal. 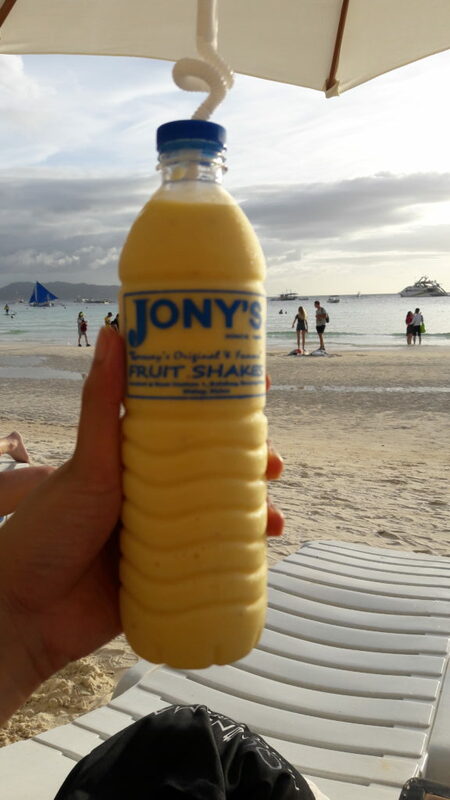 My Boracay stay is not an exemption even if most people will say I should be sipping fruitshakes. I was trying to figure out if I can manage to stay in Boracay and stay there for a month… or maybe months. I think I can manage, but I am not sure with the influx of too many tourists and constructions of new hotels. 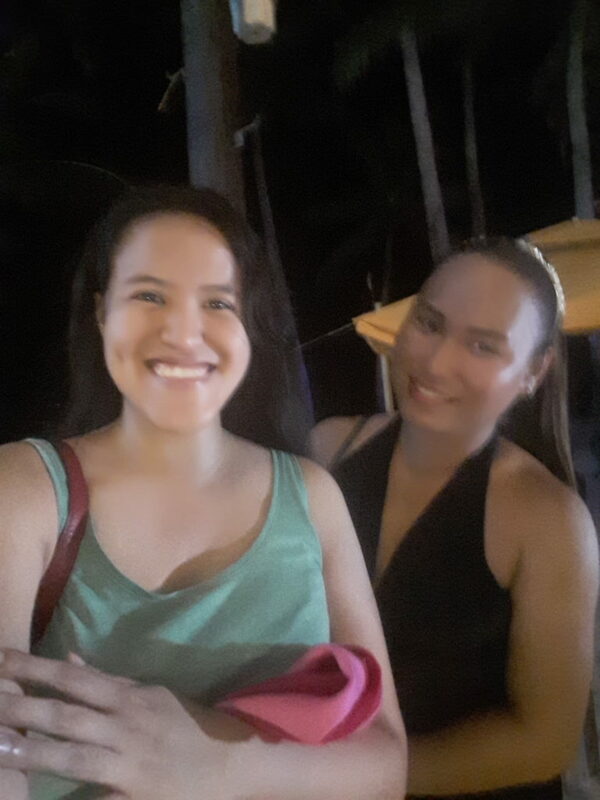 Indeed, Boracay is a place where one can let go of their issues in the city and just dance the night away. I know now which bars I should go to if I am on a certain mood. Also, watching a friend perform her fire dancing stunts still gives me that “Wow” factor. Pirena, ang Brilyante ng Apoy! I remember last April, I went to the show of Lilly Singh a.k.a. iisuperwomanii in Birmingham. I lined up with women of my age with their little girls in tow. Some of the single ladies my age were recording Lilly’s monologue when a young girl approached them and told them to “live in the moment”. “You’re already watching Lilly’s videos every Monday and Thursday plus her daily vlogs. Why don’t you just focus on her physical presence? Live in the moment!” the little girl scolded the group. It was in that moment when I realized that yes, social media and recording videos is kind of required especially for us bloggers, but does it make you really happy? I was on a high when I saw Melanie C a.k.a. Sporty Spice live. I recorded a few clips but I never bothered recording the whole song (Well… except for Northern Star LOL). Most of these clips will end up blurry anyway and the audio is not perfect. Experiencing live performances is much better. It is the same with travel. I have to admit that sometimes, I feel pressured nowadays when I hang out or talk to my friends and all we talk about is how we’ll plan our pictorials for our Instagram account. Maybe I am not the best person to talk to in regards to this thing because I don’t really curate my IG feed. I also don’t say “yes” to all press trips now because I would like to write at my own pace and not join the social media rat race. I’d rather put that energy to my other passion project. 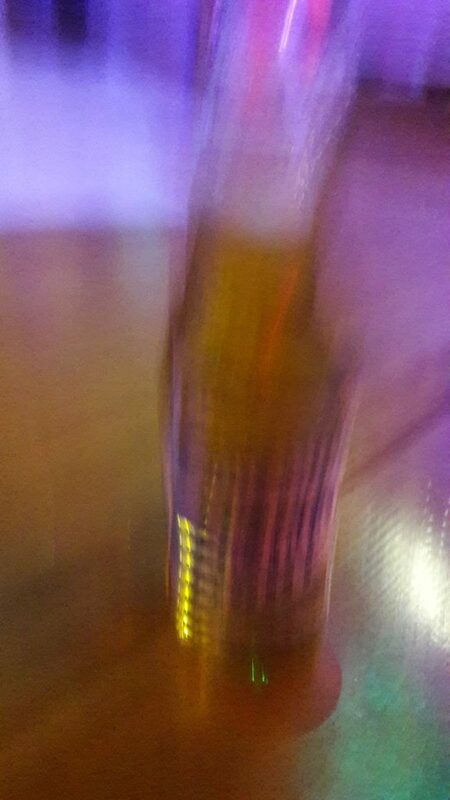 All in all, my Boracay solo trip turned out to be a good balance of relaxation and partying. I went home craving for vegetable dishes (thank you to my Lolo and Lola for preparing Pinakbet when I arrived home huhu) and I was a bit dehydrated (too much coffee at day + just some bottles of alcohol at night) so I had to recover well before my trip to Davao the next week. Same sentiments as mine. 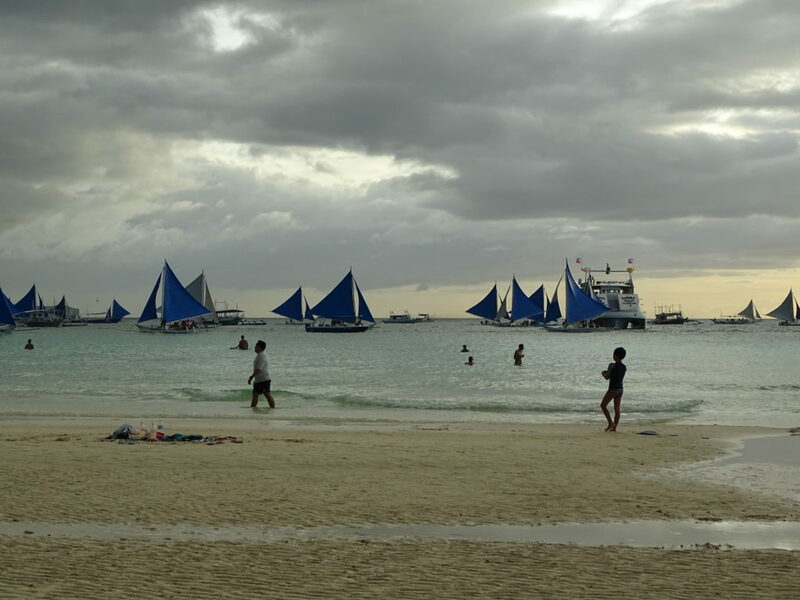 Boracay’s magic is being just Boracay. Thanks for sharing this post, this is really a thing which a traveller wants to read. I have to admit I have never in my life stayed at a hostel. 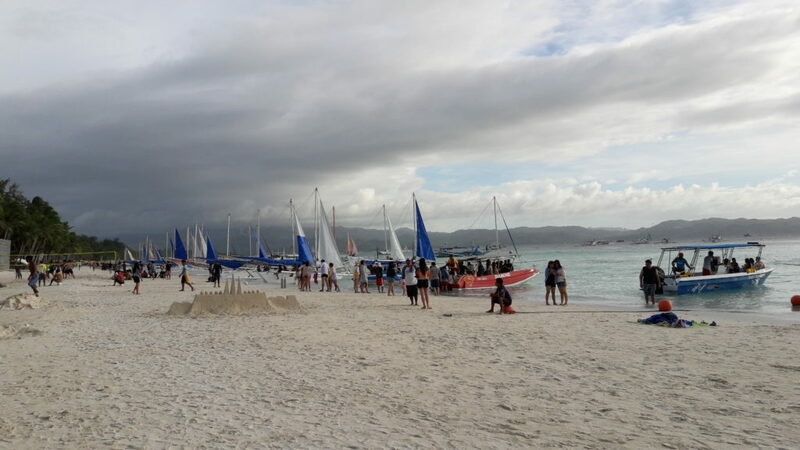 Boracay looks like fun! Phillipines has bene on my bucket list for so long! do you think it is enough time to go for a week? Maybe I should wait until I have more than a week off from work?! I think at least two weeks is recommended, but if you will go for a week, I suggest you go to Palawan 🙂 Make that PH trip happen! It was nice reading about your experiences in boracay. Lovely photos too. I also love to travel. Great reading about Boracay. My life and schedule has been so nuts over the last Five years, and while I wouldn’t change a single thing, in 2018 I am going to really try to eat better, go to bed earlier, and travel more with my kiddos, who are minutes away from outgrowing family vacations. Love your article. Cannot wait to visit the Philippines – planing to go for at least 6 weeks, thanks for sharing this post, which I have bookmarked for future reference. Boracay is deffo on my list! !